Random musings on the life of Mike and Beth (and soon to be baby…now Amelia[…and now Siena too]) Rustici. Today marks a major milestone in the lives of our children and in the sanity of our Mommy. 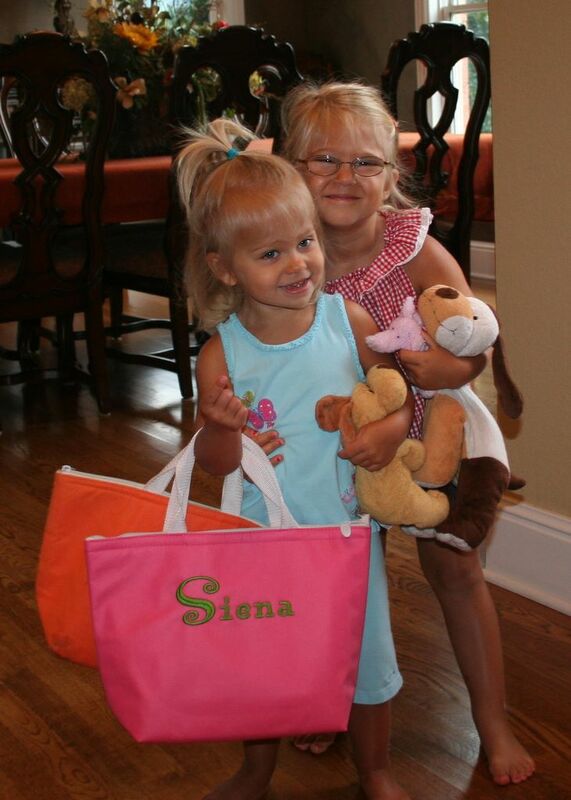 Both Amelia and Siena went off to preschool today. Yes, Mommy now has about 12 hours per week of uninterrupted free time to do what she pleases. No kids in tow, no diapers to change, no entertainment to provide. I think I’m just as excited as she is. It feels like a milestone transformation from the “dark ages” of early childhood to the “fun ages” of enjoying the kids. Stay tuned. [Correction] 2.3 minutes after this post hit the Internet, Beth pointed out that it is actually only 10 hours of free time per week. Not that she is counting. My bad. -”A Season of Giving”:homemade care packages to send to the troops overseas; christmas program where they sang and danced to the songs their music teacher, bethany, had taught them; holiday party which included a visit from santa, crafts, cookie decorating, and pizza! -”Signs of Spring”: observed the metamorphosis of their pet caterpillars into butterflies throughout the month of May; made caterpillar and butterfly crafts; played with hungry caterpillar beads; end of the year party! This entry was posted on Tuesday, September 15th, 2009 and is filed under Uncategorized. You can follow any responses to this entry through RSS 2.0. You can leave a response, or trackback from your own site.